All you have to do to turn your friends and family into Turnpike Troubadours fans is to play them the music. If there was one artist, one band out there that can bridge all gaps between your pop country friends to your hard rock buddies, it’s Turnpike. Young or old, male or female, city, country, or suburban, the music resonates with all. 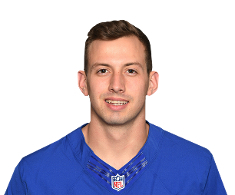 This week in a Sports Illustrated article about New York Giants backup quarterback Davis Webb, it was revealed he’s been turning the entire team onto the Turnpike Troubadours as the team’s official DJ for practice, meetings, and other functions. And to speak to Davis Webb’s success rate, apparently Giants starting QB and 2-time Super Bowl MVP Eli Manning is one of the biggest converts. Davis Webb played his final year of college ball at California, but between 2013 and 2015 he played at Texas Tech in Lubbock, which is a hotbed for Red Dirt and Texas country like the Turnpike Troubadours. Webb’s originally from Prosper, TX, which is north of Dallas, and not far from the Oklahoma border. He features different genres each day in his playlists, with Tuesdays being exclusive to country. 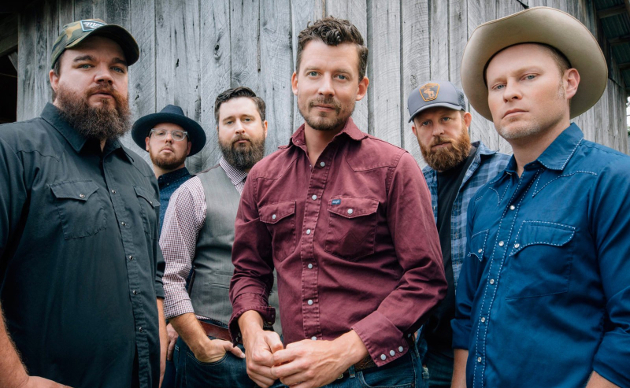 Along with everyone else exposed to their music, athletes seems especially drawn to the Turnpike Troubadours. In 2013, St. Louis Cardinals lead off hitter Matt Carpenter had Turnpike Troubadours fans taking notice when he selected the Turnpike song “Long Hot Summer Day” as his walk up music for at bats. The song was given an even bigger stage when the Cardinals and Carpenter made it to the World Series that year. A few years back another Turnpike Troubadours song was featured going to commercial on a Sunday Night Football game. Some of your favorite bands and artists may always be relegated to a level of obscurity that’s unfair to their degree of talent. But with the Turnpike Troubadours, the only thing keeping them from being one of the biggest bands in all of country music is exposure. So don’t be afraid to play a little Turnpike for your friends and family. They may end up a big fan like Eli Manning, and thank you for it. Has he seen them in concert? Are you an NFL QB if you never (and may never) take an NFL snap in a meaningful game? Does he cash checks from an NFL team to be on the field, even if only in practice? I think if you are currently under a 3.6 million dollar contract with the New York Giants, then yes, you are “an NFL QB”. I did not realize he went 3rd round! The biggest reason the Giants selected Saquon Barkley in the 1st round of the draft. They feel Webb will be their future quarterback. That’s what the Jets thought about Christian Hackenberg. The title of the article is a little clickbaitish … I was expecting Matt Ryan or Aaron Rodgers … the title should be: Rookie/Back-Up NFL QB Turns His Team on to the Turnpike Troubadours. Well, I think they believe he could be their future quarterback. I think they also think they could have success right away with a marque running back being able to take some of the offensive pressure off of Eli. They did pretty much crater this past year, but they did win 11 games the year before. 2 time Super Bowl MVP, that is. And that’s why, as a Giant fan, I will always feel gratitude towards Eli. Also, his clutch play throughout those two playoff runs. Their spending a 2nd overall pick on a RB with a cooked 38 year old QB and no offensive line was the absolute dream for my Birds. @Lester -It’s going to be a different offensive line, with two and possibly only one returning starter. They’ve made two quality free agent pickups and drafted an OG with their second round pick (34th overall). If they jell and they have credible running game, that 38 year old quarterback should hopefully have more time than he did last year and maybe not seem so old. We’ll see. Turnpike is an Oklahoma band. It was a good idea until Blake Shelton’s album came along. Good luck getting people to buy into it now. Aren’t all the best “texas” bands? I was born in Oklahoma and it has been my home ever since 1984. The red dirt brand of country music originated here. The bands moved to Texas for many obvious reasons. Chief of those is that Texas is HUGE and there are plenty of honky tonks there. Everywhere. Oklahoma City has rolled out some great mid-sized venues over the past few years, though, and we are getting a lot more shows from the likes of Sunny Sweeney, Whitey Morgan, Cody Jinks and others. I think Trigger’s lable of “Texoma” is very fitting. I love Texas but it has always irritated me a bit that Jason Boland and his peers have all been chalked-up to “Texas Country Music”. Texas is definitely the center of a LOT of good country music but these guys know their roots as well. Boland still plays here a lot. Not as much as I would like of course but he heads north every three to six months. Turnpike is absolutely an Oklahoma-founded project. On your first question, who cares. On your second question, who cares. I was just about to make that very same response and I couldn’t have said it better than you. it’s about the music and God bless this quarterback and I hope he has great success in the future. As a recent TT fan, I’d say the biggest thing holding them back is the band name. It put me off for ages. Id hear people talking about them but it always sounded unprofessional. Now, if they were just called ‘Turnpike’ i would have been into them way earlier. After I reluctantly bought Long Way to Your Heart, I instantly ordered the entire back catalogue. I’ve always loved the name. It’s poetic. Good God. They automatically associate the word turnpike with NJ even with the word troubadours right after it? OK, then. As to your point about AA, I think Drive-By Truckers are in the same boat. I think I’ve heard Patterson say he’s no longer crazy about the name, but that they’re stuck with it. I didn’t know this until I googled recently, but Oklahoma apparently has an extensive turnpike system. One of its turnpikes is the Will Rogers Turnpike, which is mentioned in James McMurtry’s Choctaw Bingo. So there you go. That said, it sure doesn’t behoove them to change it at this point! I’ve been saying it for three years now. This is the absolute best country act in the nation and possibly the best kept “secret” in all of American music. Hearing Matt Carpenter’s walk up song is how I found out about the band. Heard the line “got me a gal in Pekin”, which is where I live. Had to do some digging, actually had the Cardinals team photographer help me out. He got the info from Carpenter, then passed it on. Huge fan ever since. Long time Big Blue fan here. As if I needed another reason to like Eli. Also, haven’t given Davis Webb too much thought until McAdoo benched Eli and then the speculation on whether the Giants would pick a quarterback with that #2 pick. After reading this story, he’s firmly on my good side. When I saw them open for Miranda(TT being the reason I went), I could tell that not everyone knew who they were but the audience reacted really well so I’m sure that got them a ton of new fans..It was great to see and you’re right, they have a sound that can appeal to many. A lot of their choruses are more catchy than a lot of pop songs as well, but without the gimmicky lyrics, over-hyped production, etc. I play them as much as possible around receptive people and never heard a bad word. Going to see them for the 8th and 9th? times this summer and taking both sets of parents to one of the shows because we’ve now turned them on. They’re playing the last day of our Windy City Smokeout but I’d have to sit through Walker Hayes AND Kane Brown if I wanted to save a good spot up front for when they come on at 6:30. I’d love to see em but I’m not sure the torture would be worth it? And don’t bag on the backup QB. Someone has to be ready at all times. My friend’s son Jimmy backed up Tom Brady for 3.5 years and he turned out just fine. Pretty sure Kane Brown’s gonna be on the opposite stage. Smokeout usually does a good job of keeping its different demographics happy. No need to worry. There was no opposite stage last year except a little 40 ft stage with speakers on stcks for up and comers that about 75 people stood in front of at the other side of the fest while they made changeovers on the main. I know Kane or Turnpike won’t be over there. Walker Hayes SHOULD be though…..lol They have the lineup for the dinky stage on the site. Google it. Somebody at MLB Network (which is in New Jersey) must be a fan. I heard “Gin, Smoke, & Lies” on MLB Central last week as they were going to commercial. Nah, not really. They don’t resonate with me, or anybody I know, and we’re all Country Music lovers. That sounds like something that, in your mind, you wish were true, or think should be true, but it isn’t reality. They’re a proper mainstream evolution, if you will, but with songwriting too good for mainstream. I agree. I’ve really tried to like them but I just don’t. I agree. I’ve tried for a while, but am just not interested in the Counting Crows – esque vocals / song structures of 85% of their output. They are perfectly harmless and it would be a good thing for “country” if they blew up, and I also get how the formula I mention above plays well with a lot of different people, especially those who “don’t even like country”. I just can’t even begin to get the comments you often see of them being the best country band out there, etc. Ditto. I’ve done my due diligence and really tried to enjoy their music, but I just couldn’t do it. That’s not a knock on anyone who like them, I’m just being honest. Somehow I don’t see Odell Beckham Jr. with the Turnpike Troubadours blasting from his headphones.
. Ok for opening act. Nothing more. Lyrics are good, instrumentals ok but not the vocals. Not worth my time.